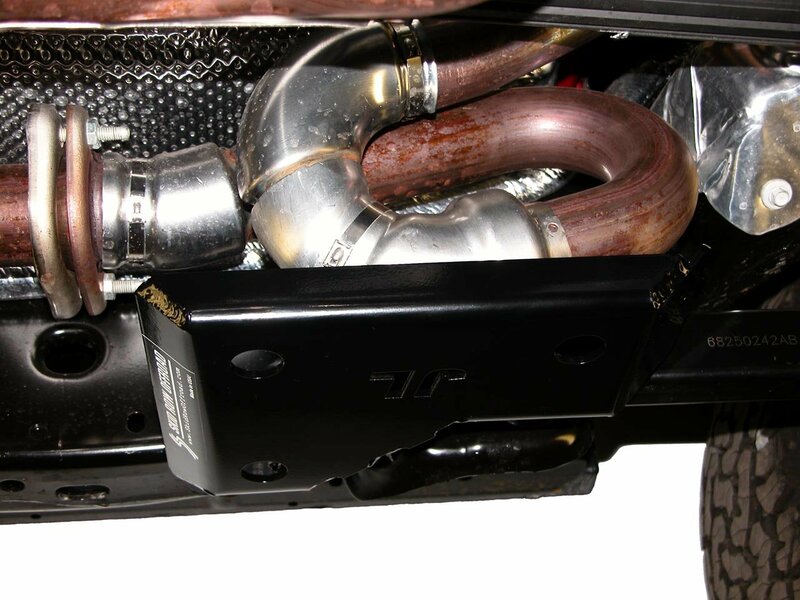 Skid Row's Curly Exhaust Guard gives your Wrangler JL's driver side exhaust added protection for when you are out on the trails. 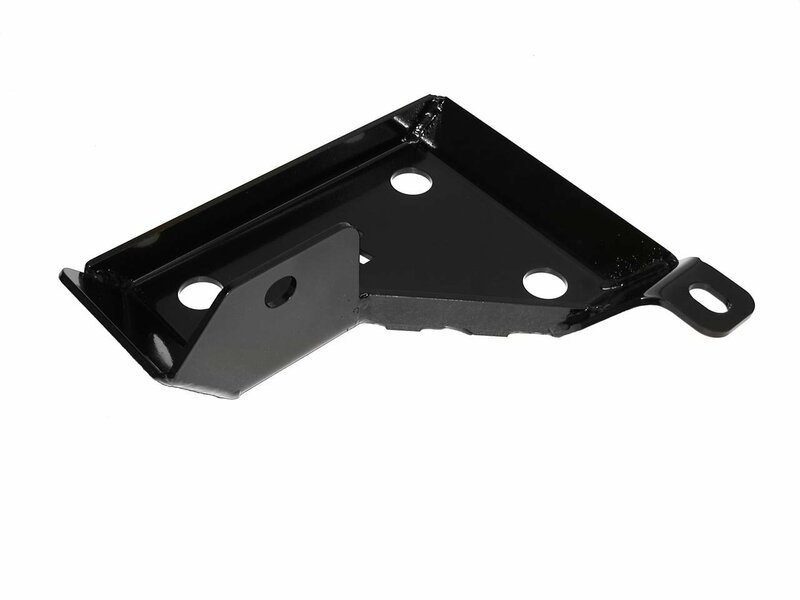 Made from 3/16" steel this skid plate protects the 360 degree loop of your exhaust from rocks & whatever else you come across on the trails. Mounts directly to your Jeep's frame giving you a perfect fit and like all of Skid Road's products this is proudly Made in the U.S.A.! 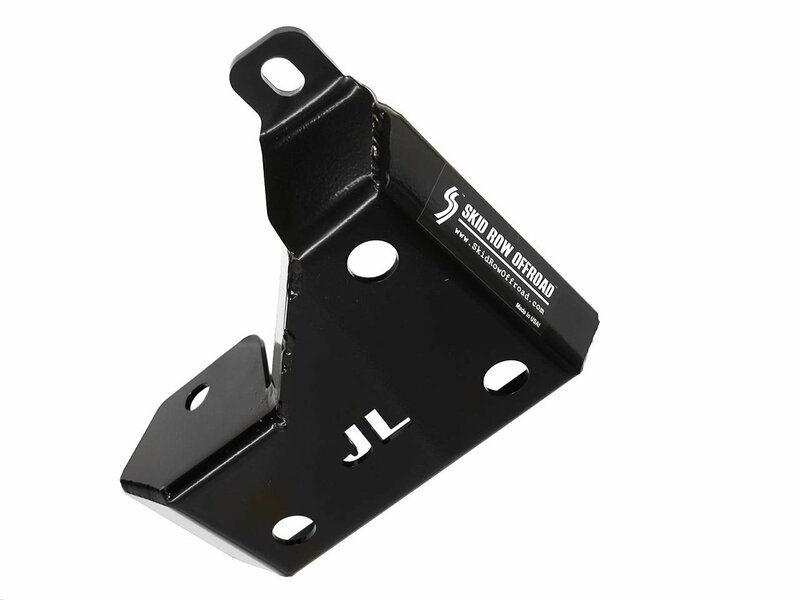 Construction: Made from 3/16" steel that is CNC folded for a perfect fit on your Wrangler JL. Coated with a durable black powder coat to prevent rust. Comes with Grade 5 zinc plated hardware for installation. Protection: Gives you peace of mind while taking on the off-road trails. Know that your exhaust pipe is protected from rocks or other obstacles even if you are taking a tough approach angle. 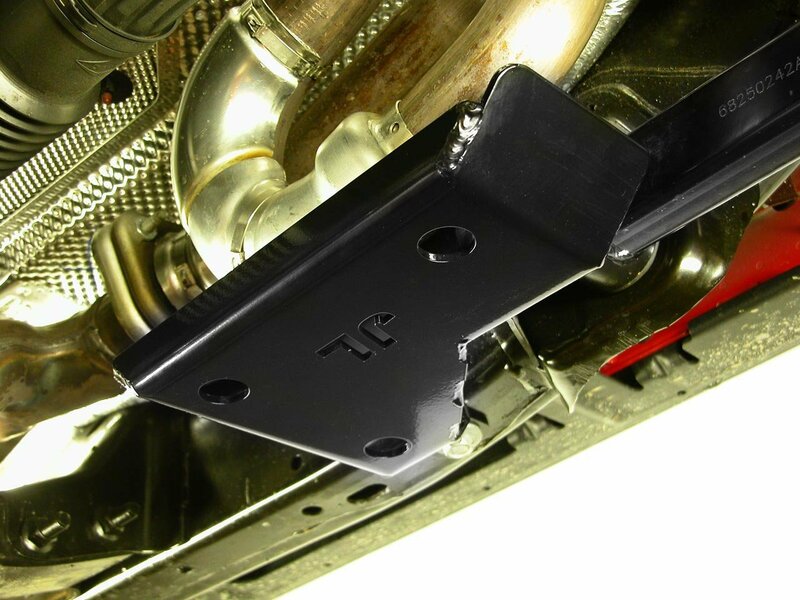 Installation: This skid plate will work on Wrangler JL's that are lifted or stock height. There will be no drilling or modifications required as this will simply bolt on to the existing bolt holes on your Jeep.